If you're squinting at a poorly-rendered map on your Blackberry, turns out you're not alone. According to an industry report released today, up to 8% of Americans are now downloading driving directions and online maps via mobile devices, which equates to a whopping 82% increase over last year. Ironic that mobile map use is increasing just as in-car navigation systems are becoming more common: Are we getting hooked on nav? Full release after the jump. Reston, VA, July 24, 2008 — comScore, Inc. (NASDAQ: SCOR), a leader in measuring the digital world, today reported that the use of mobile maps is increasingly popular in the United States and Europe, with 8 percent of American mobile subscribers and 3 percent of European subscribers accessing maps from the mobile phone in the three-month period ending May 2008. This represents a growth rate of 82 percent and 49 percent in the number of users, respectively. According to the comScore M:Metrics Benchmark Study, the iPhone is the leading device used to access maps in the United States, and in Europe, the device trails the Nokia N95 and N70. 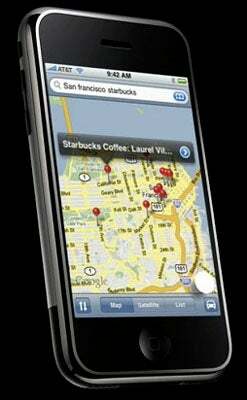 "The mobile phone as a personal navigation device makes tremendous sense," observed Mark Donovan, senior analyst, comScore. "With the influx of devices, such as the iPhone with GPS, entering the market, Nokia's purchase of NAVTEQ and the growing popularity of downloadable navigation applications, you don't need a map to see where this sector is going."